Eero vs Luma - Luma vs Eero Who Wins the Wireless Mesh Network War? Eero vs Luma – Luma vs Eero Which Wireless Mesh Network is Best? Eero vs Luma – Luma vs Eero Which Wireless Mesh Network is Best? So, we did an Eero Home WiFi System Review & a Luma Home WiFi System Review. However, consumers want to know, which of the Wireless Mesh Networks is best for their needs? This article compares the pros & cons of both the Luma WiFi Mesh Network & the Eero Wireless Mesh Network. We’ll check out the design, the performance, the price & features. So, who has the better design? The eero router or the Luma router? Design plays a major role in figuring out where to place the router within your home. Take a look and see which works best for you. Also, we share our preference. 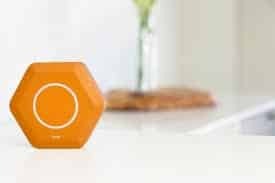 The Luma router features a hexagonal design. That’s six sides. We’re not going into the details because we’ve done so in the Luma router review. Meanwhile, the eero sports a simple square shape. Now, these are both beautiful layouts. However, the eero seems more flexible. Given that it has a square shape, fitting it into small spaces (mounted) might prove easier. But, don’t count out the Luma. Why mount or lay flat when you can stand? Do you prefer to place your router on a counter top? Well, in this case, the Luma stands tall. It all boils down to a matter of personal choice. It’s a tie in this section. When it comes to features, these two wireless mesh networks go neck to neck. While the Luma prides itself on security, the eero runs on usability & reliability. What does this mean? Both the Luma WiFi System & Eero Home WiFi Network feature a mobile app for both iOS & Android. We’ll get into the details of the respective apps later on. Moreover, both systems offer robust cyber security features as well. What I like about the Luma is its system alerts feature. If the security system detects malware or vulnerabilities, the user receives a notification prompting them to rectify the potential threat. Meanwhile, eero guarantees that your network is always secure. Hence, there is no need for warnings. A pretty bold step, eh? Furthermore, both systems provide timely updates that enhance security and improve performance & features. Moreover, both the Luma & eero router offers parental control functions. Although, the feature is not as good as it should be (refer to the Luma WiFi router review & Eero Router Review) on both systems. While they both allow you to regulate internet access, they don’t enable you to block specific websites. So, you can’t say block Facebook or Twitter while allowing Wikipedia. However, you can create profiles for each person and block all internet access during specific times or in real time. So, for the features battle, it’s another tie. Although, we want to the give the eero a nudge for its take on security. Luma or Eero? Which Router Offers the Better Performance? The big Kahuna! Both Eero and Luma claim to eliminate wifi dead zones and increase wireless coverage & connection speed throughout your home. However, after testing, the Eero router takes the cake. Wi-Fi is much slower on the Luma vs the Eero with the same 75Mb Comcast speed. Moreover, on a side note, the eero is far easier to setup. You can check out the video below. We’ll have Open Mesh & Ubiquiti reviews soon. Luma & Eero App – Which is better? Firstly, I must say that the apps are quite the innovation. However, the both apps have some drawbacks. Things you can do with the mobile application include changing the network name & password. Moreover, you can manage access, view connection speed and more via the dashboard. Wait, are there more features? As of writing, no. As of writing, there aren’t advanced features such as accessing the router’s backend. Both Luma & Eero promise more functionality in the near future. Right now, Luma sells at a discounted price on Amazon. Meanwhile, the eero router sells at full price. Both sell for the same price on regular days. Let’s not forget that Amazon is an investor for Luma. Hence, we expect huge discounts during the promotional period. The Luma is available on Amazon for $399.00 (3-luma) & $149.00 (single luma) . Remember, those prices are promotional and may increase at any time. Meanwhile, the eero is available on Amazon for $499.00 (3-eeros) , $199.00 (single eero) , and $375.95 (2 eeros). On the surface, both the Luma wireless router & the eero WiFi router offer a complete home wireless network solution. 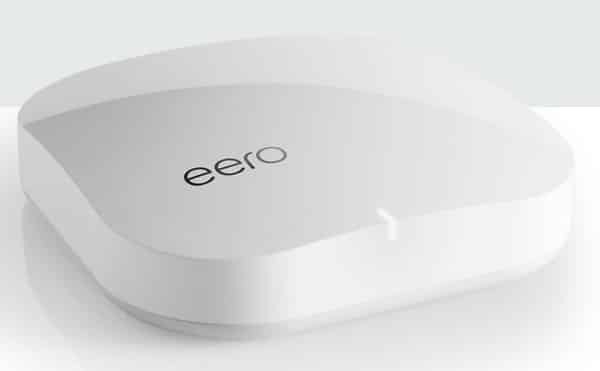 However, the odds are in favor of the eero system as it provides faster speeds & coverage. For a more in-depth review of each network setup, be sure to check out their respective reviews here & here. For other alternatives, you can check out NetGear’s Orbi or Google WiFi. Thanks for reading, Eero vs Luma – Luma vs Eero Who Wins the Wireless Mesh Network War? here on OrDuh!